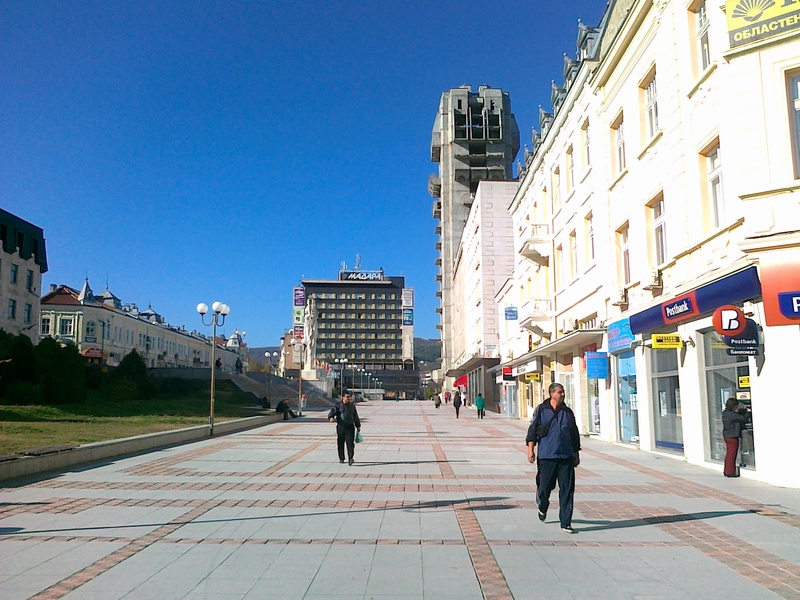 Shumen (Bulgarian: Шумен) is a city in the northeastern part of Bulgaria, capital of Shumen Province. 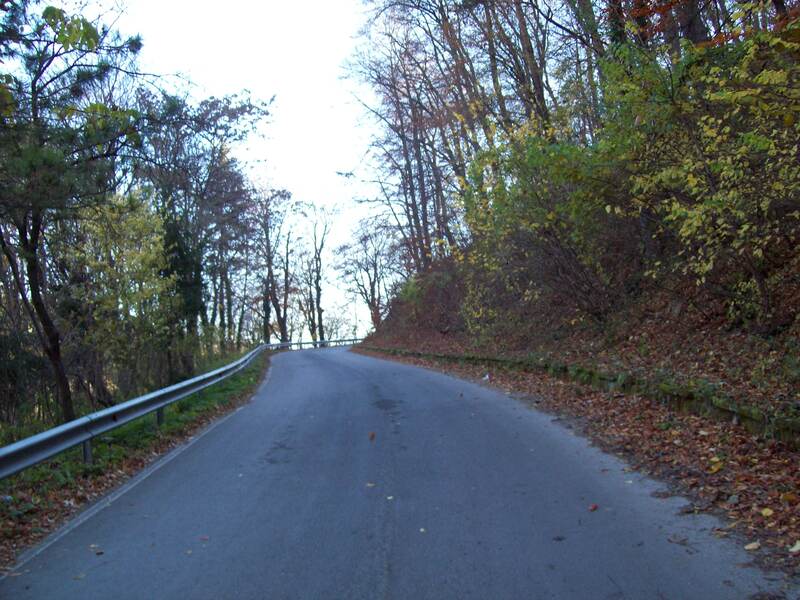 From 1950–1965 it was called Kolarovgrad, after Vasil Kolarov. 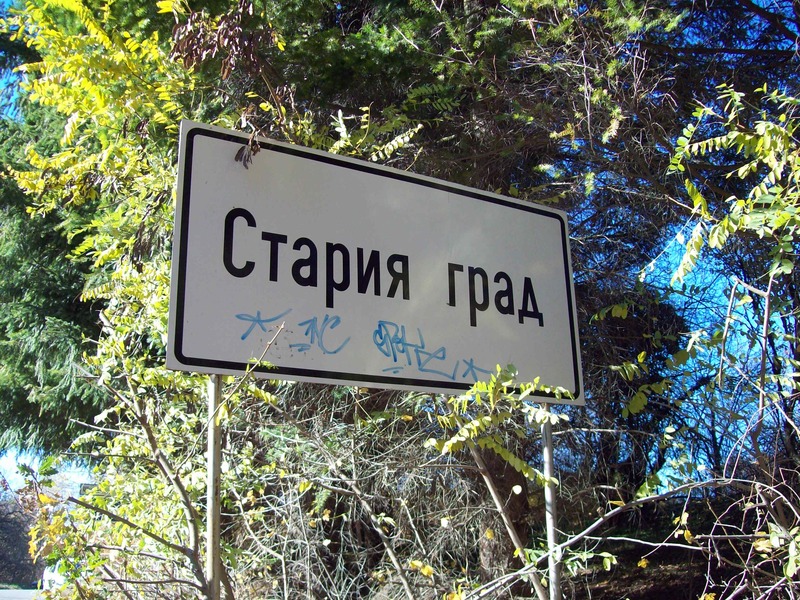 Other English variants include Shoumen and Šumen. 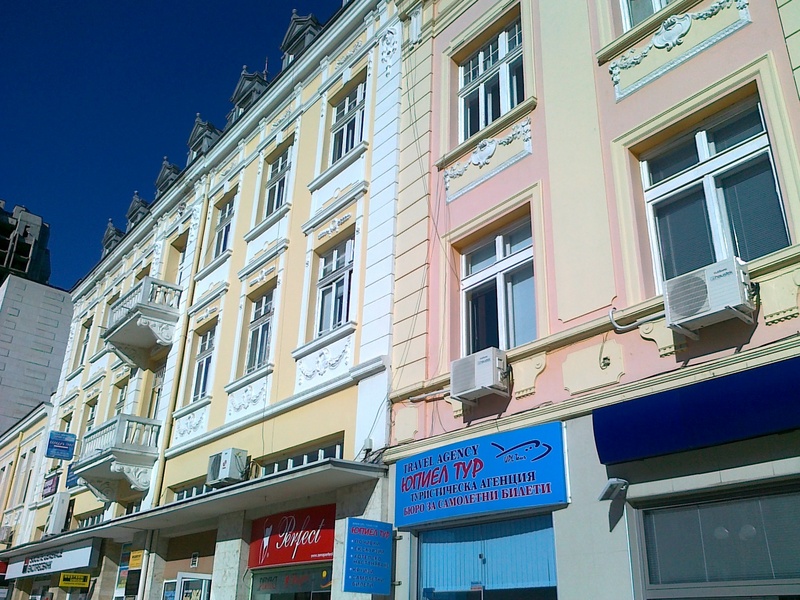 The city has a population of 92 566 by current address (2010). 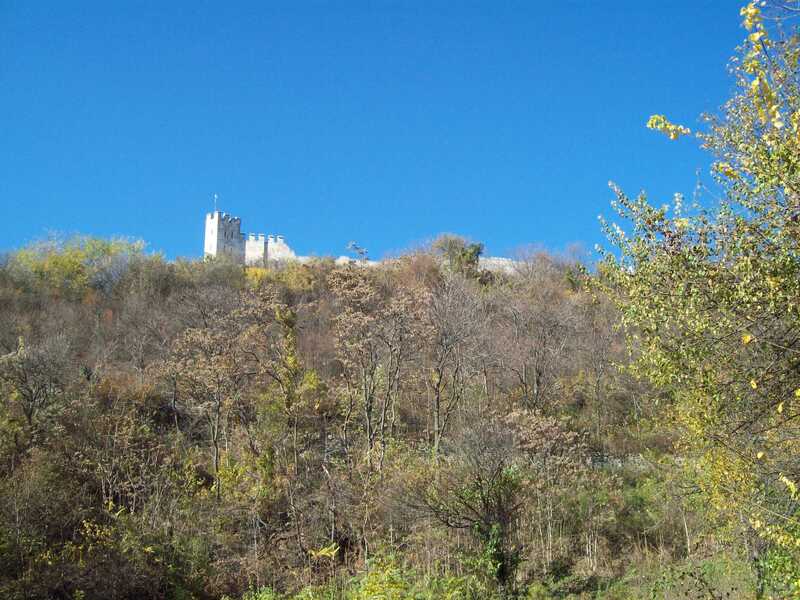 The city lies 80 km west of Varna and is built within a cluster of hills, northern outliers of the eastern Balkans, which curve round it on the west and north in the shape of a horse-shoe. 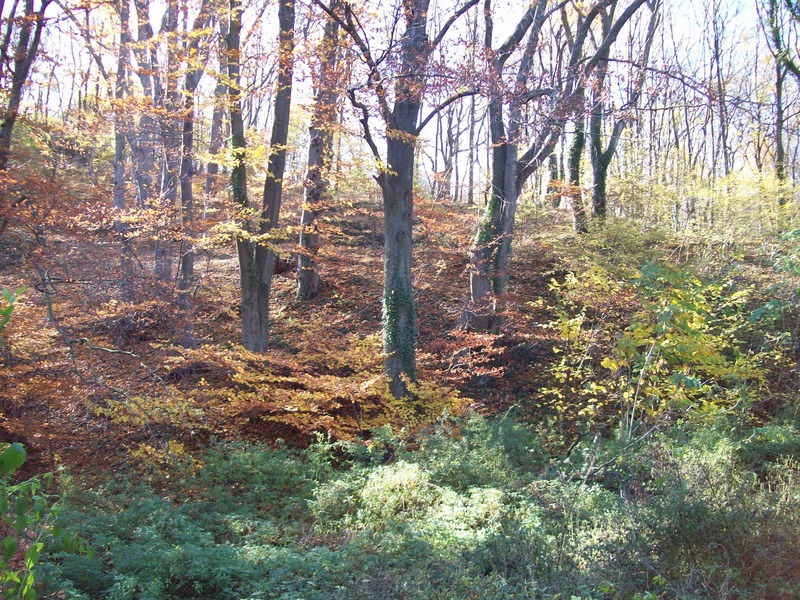 A rugged ravine intersects the ground longitudinally within the horse-shoe ridge. 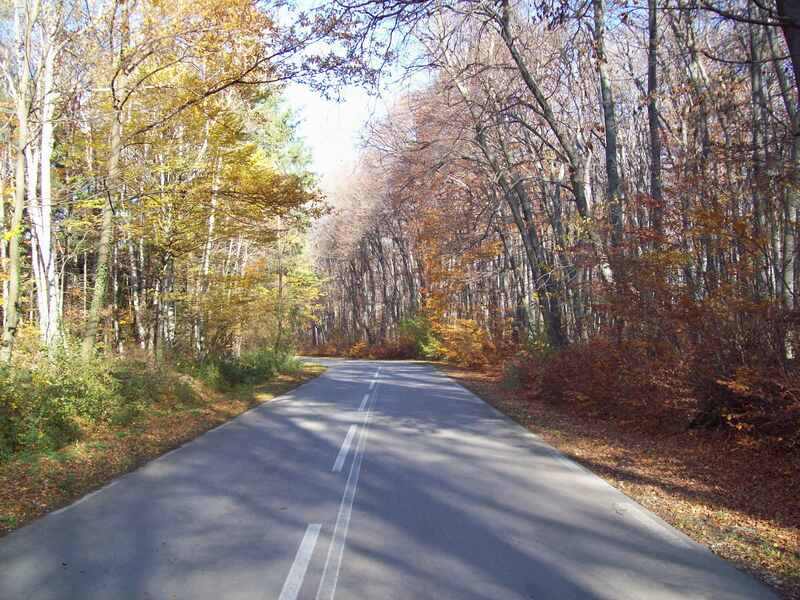 From Shumen roads radiate northwards to the Danubian cities of Rousse and Silistra and to Dobruja, southwards to the passes of the Balkans, and eastwards to Varna and Balchik. 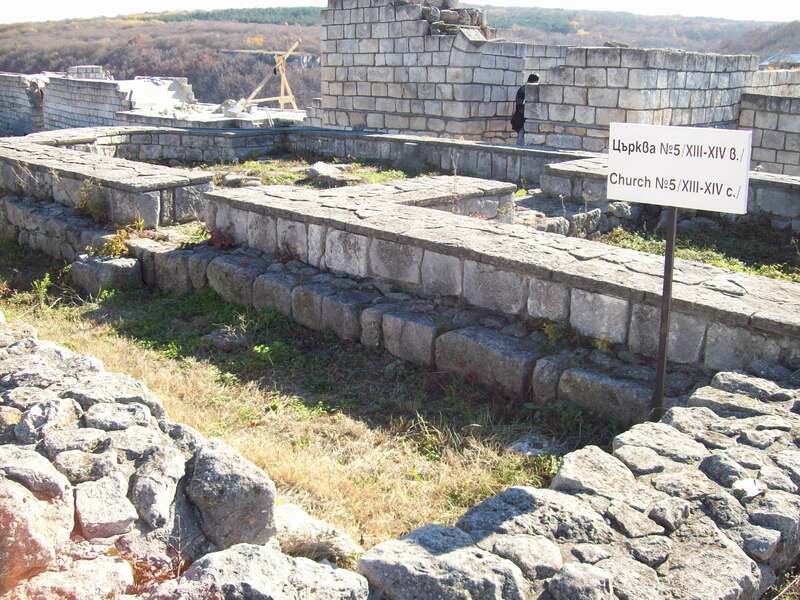 In 811 Shumen was burned by the emperor Nicephorus, and in 1087 it was besieged by Alexius I. 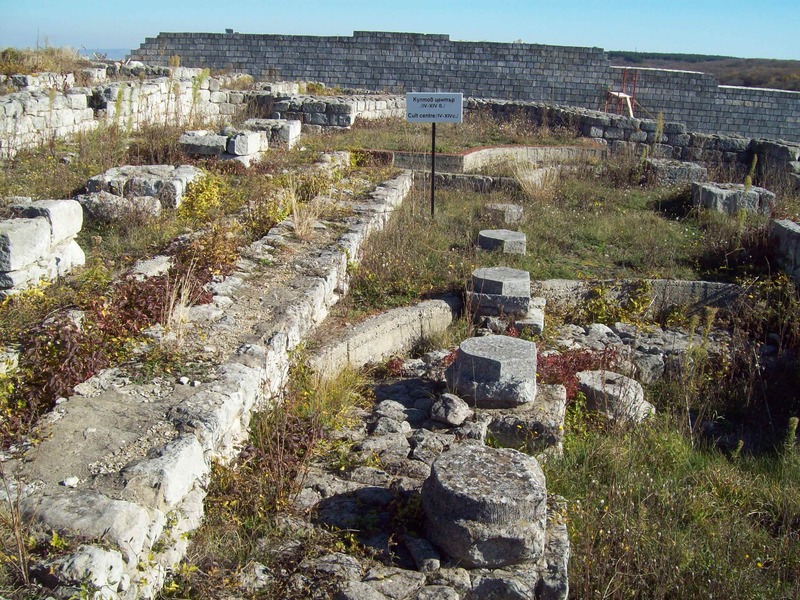 During the golden age of Bulgarian culture under Simeon the Great (866-927), Shumen was a centre of cultural and religious activity, and may have born the name Simeonis. 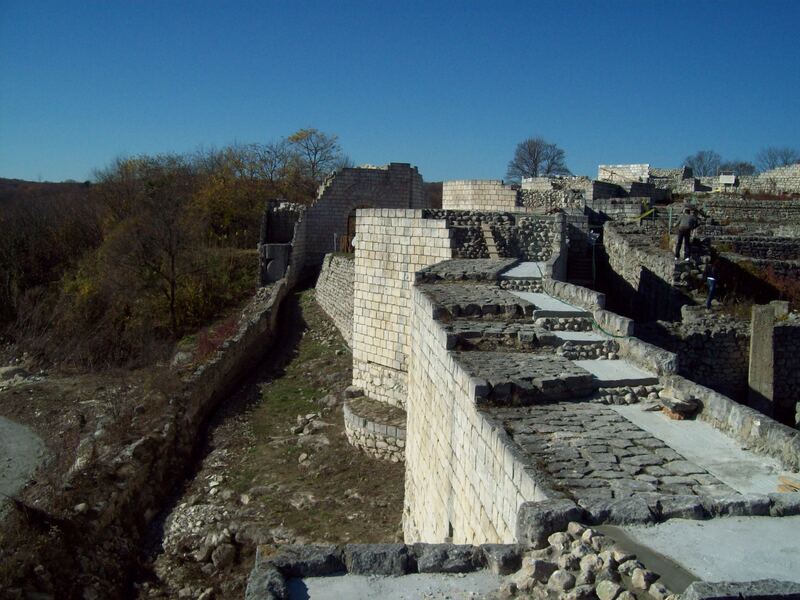 Until the 15th century, the city was located around the Shumen Fortress, a sophisticated complex of defensive installations, religious and civil buildings. In 1388 the sultan Murad I forced it to surrender to the Ottoman Turks. After Władysław Warneńczyk‘s unsuccessful crusade in 1444, the city was destroyed by the Ottomans and moved to its present location. It was known by the Ottomans as Şumnu. 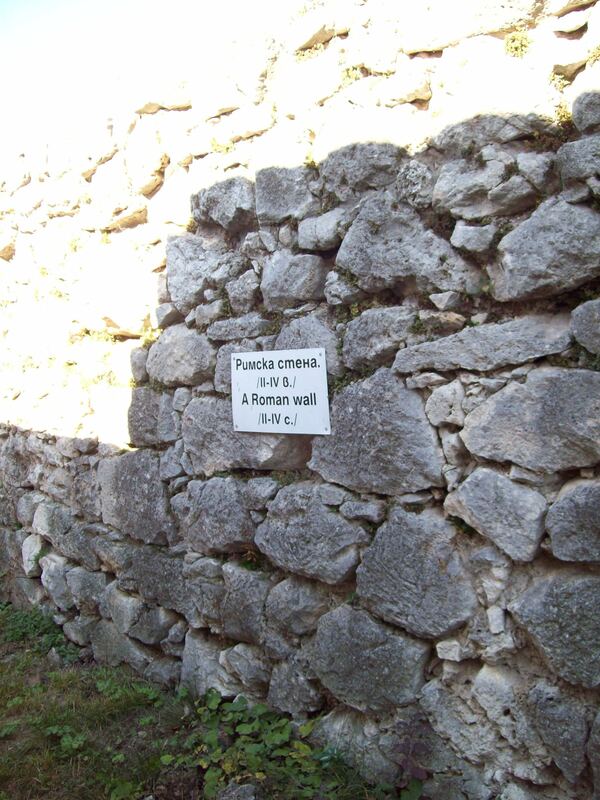 In the 18th century it was enlarged and fortified. Three times, in 1774, 1810 and 1828, it was unsuccessfully attacked by Russian armies. 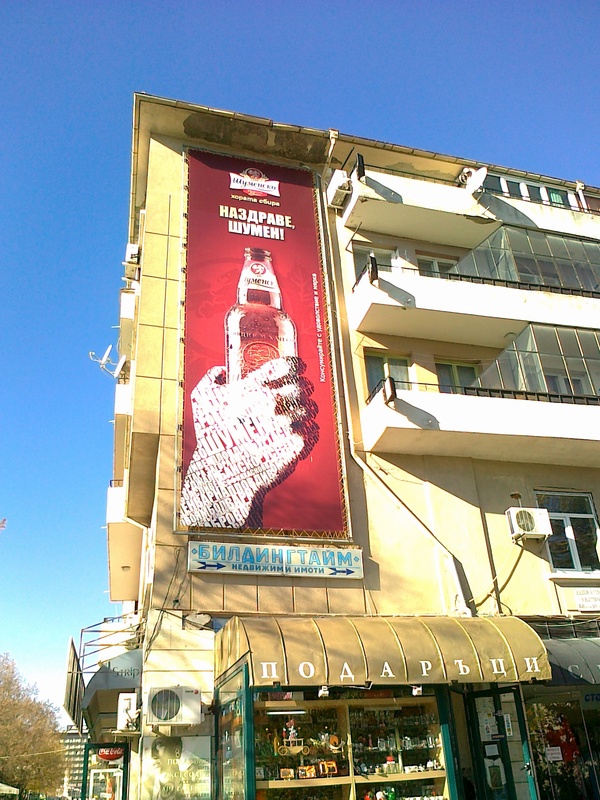 The Turks consequently gave it the name of Gazi („Victorious”). 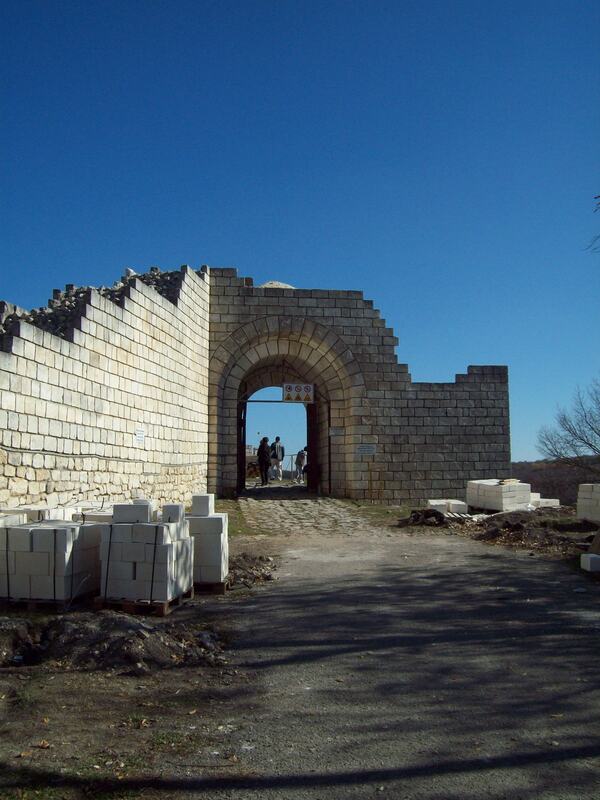 In 1854 it was the headquarters of Omar Pasha and the point at which the Turkish army concentrated (See Crimean War). 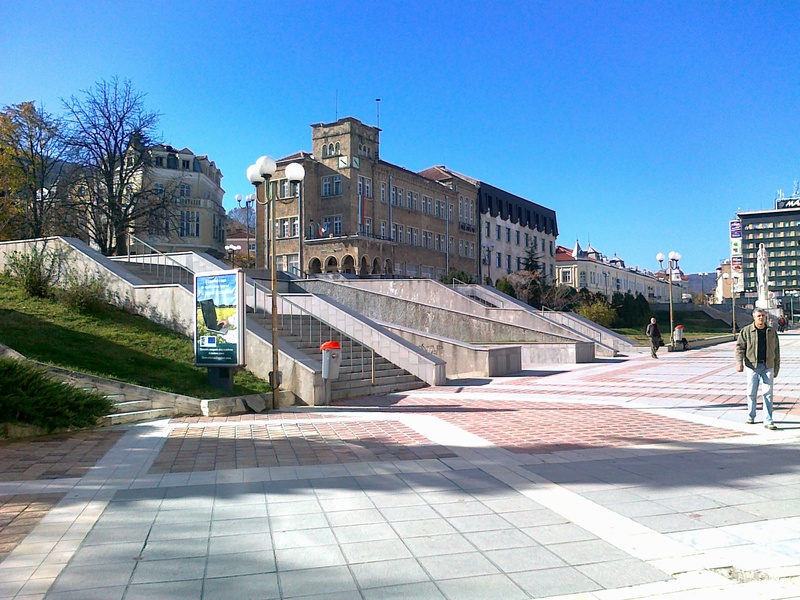 During the 19th century Shumen was an important centre of the Bulgarian National Revival, with the first celebration of Cyril and Methodius in the Bulgarian lands taking place on 11 May 1813 and the first theatre performance. A girls’ religious school was established in 1828, a class school for girls and a chitalishte (community centre) followed in 1856. 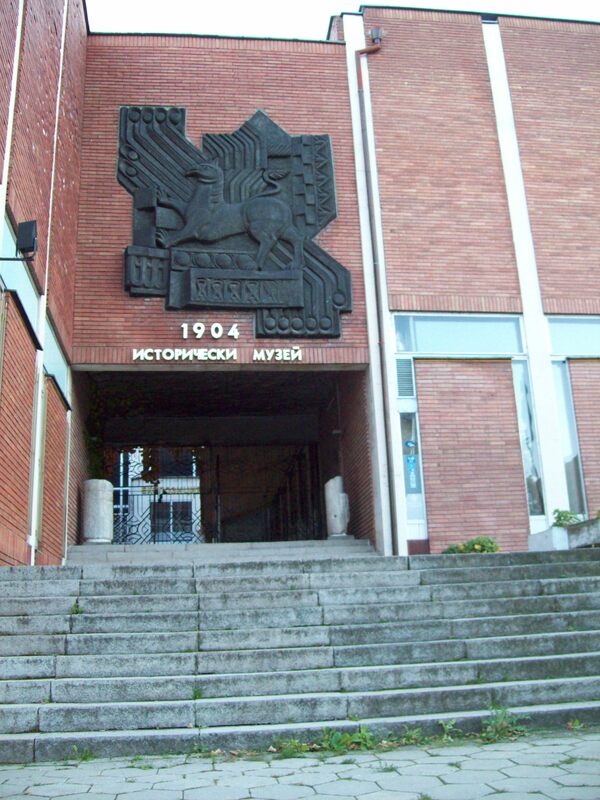 The first Bulgarian symphony orchestra was founded in the city in 1850. 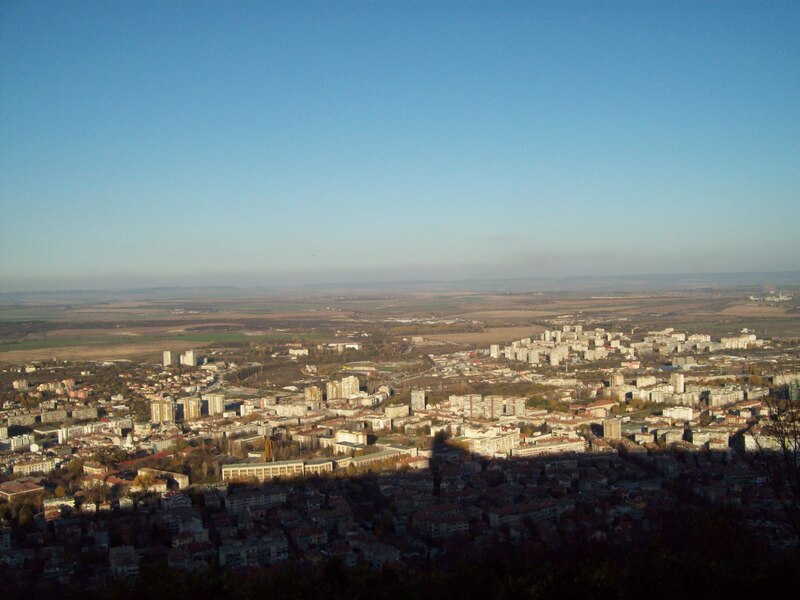 In the same year, influential Hungarian politician and revolutionary leader Lajos Kossuth spent a part of his exile in the then-Ottoman town of Shumen. The house he lived in is still preserved as a museum. On the 22nd June 1878 Shumen finally capitulated to the Russians and became part of the newly-independent Principality of Bulgaria. 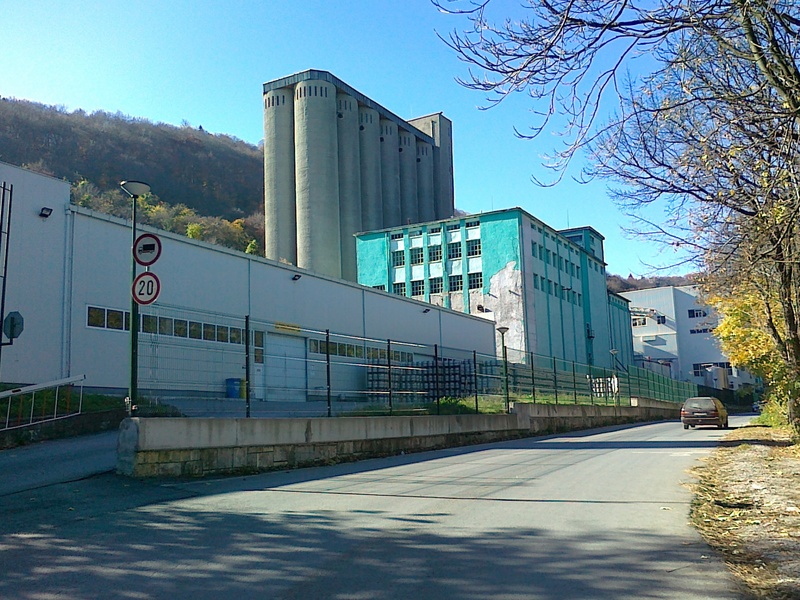 In 1882 the Shumen Brewery, one of the first breweries in Bulgaria, was founded. 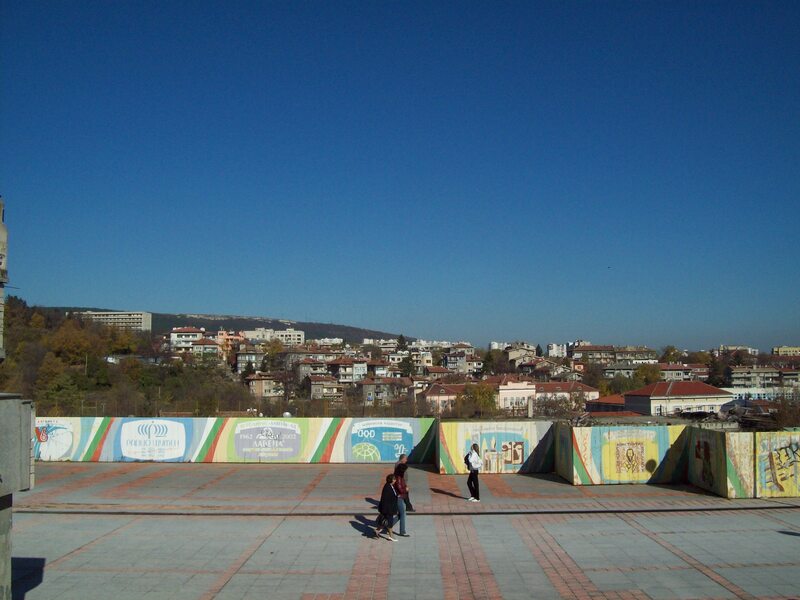 Shumen has 11 elementary and 5 common schools, as well as 2 high schools. 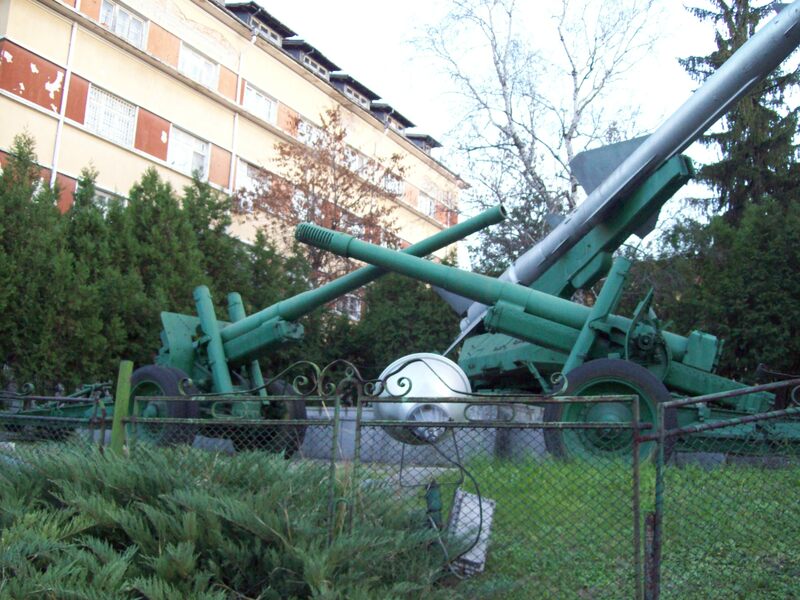 The University of Shumen Episkop Konstantin Preslavski and the Artillery and Air Defense Faculty to the Vasil Levski National Military University are the only higher education establishments in the city. 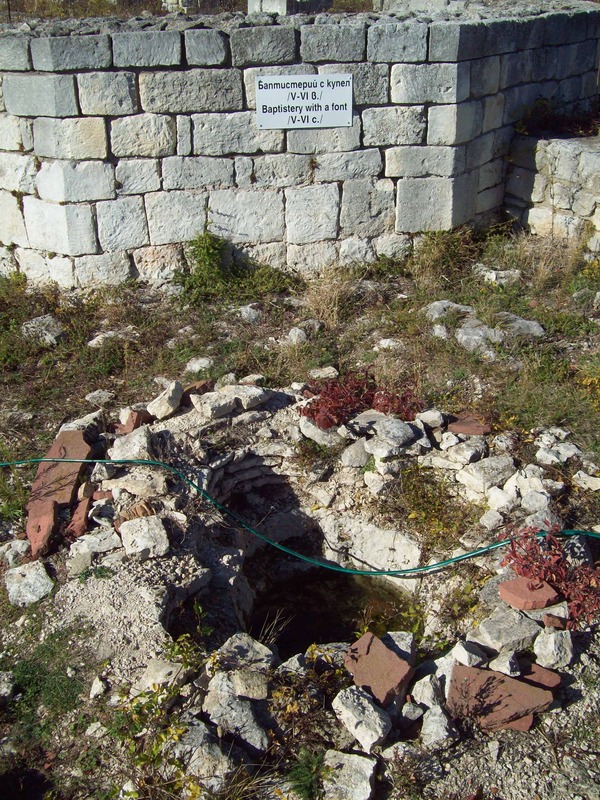 The former operates a small astronomical observatory. 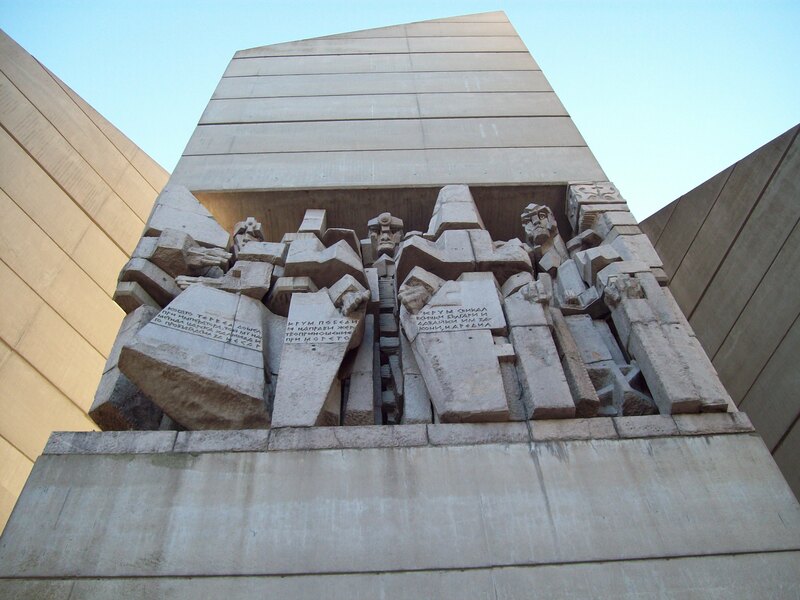 Shumen boasts the Monument to 1300 Years of Bulgaria, regarded as the only monument in the world to depict the history of a whole country from its creation to the present day. 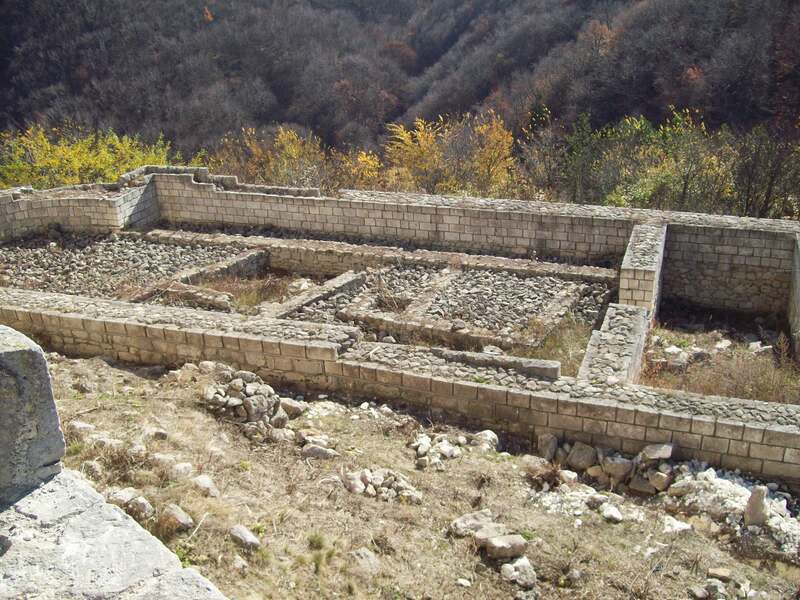 The Shumen Fortress, partially restored after being destroyed by the Ottomans in the past, is an important historical monument of the medieval Bulgarian Empire. 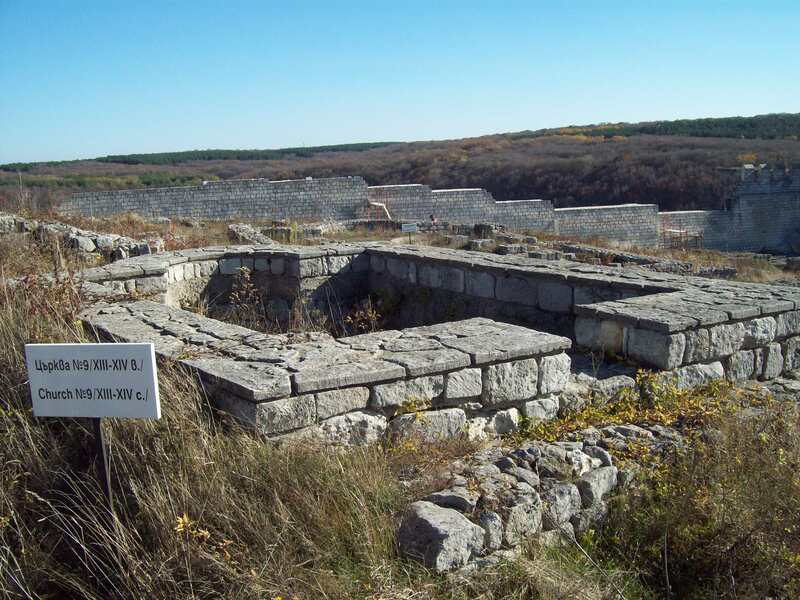 It is located not far from the city on the Shumen Plateau. The Madara Horseman, a World Heritage Site, is an ancient (710 AD) monument usually attributed to the Bulgar culture, and lies some 20 km from Shumen. The religious buildings in the city include the Eastern Orthodox Holy Three Saints Cathedral and Holy Ascension Basilica, as well as the Tombul Mosque, the largest mosque in Bulgaria and one of the largest in the Balkans, serving Shumen and the region’s Muslim minority. In vain I try to make introductions because I guess you are already used with our crazy traveling style. We decided to leave almost without any plans before made. 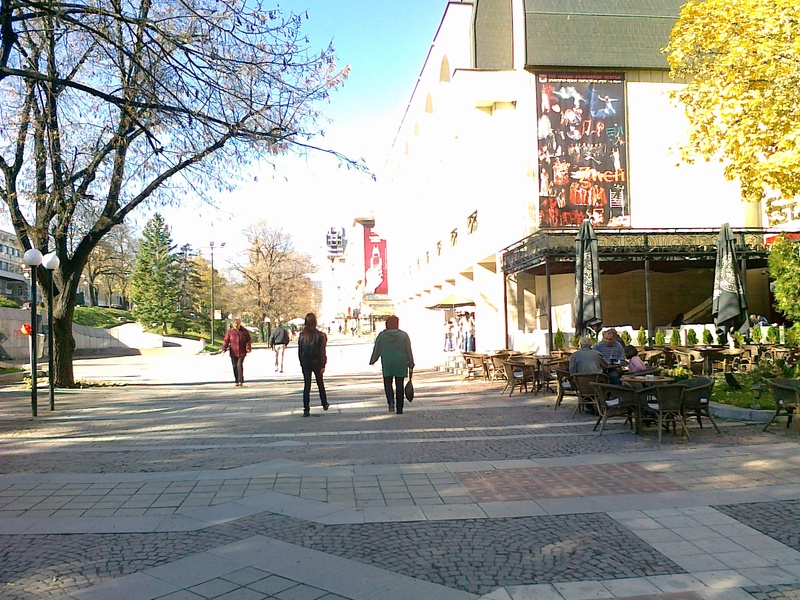 It seemed to be a special day, too sunny for a November day. I think the gods were working together for us to have the last piece of summer. That sun that made us not to look with open eyes to the sky was making a strange contrast with that golden forests that were developed in our view throw the blotted glass of the wagon window. The long autumnal night gifted us a fresh morning begun with a natural enthusiasm. Every of us had a very well delimited job- he the technical part and me the rest J and everything was ready as fast as you say “travel”. Our iron-friend, I mean the train, leaves at 12.24 from the North station wearing us in one of that Bulgarian dusty wagons. Yesterday we arrived and we stayed some big hours in Rousse accommodated by a friend. 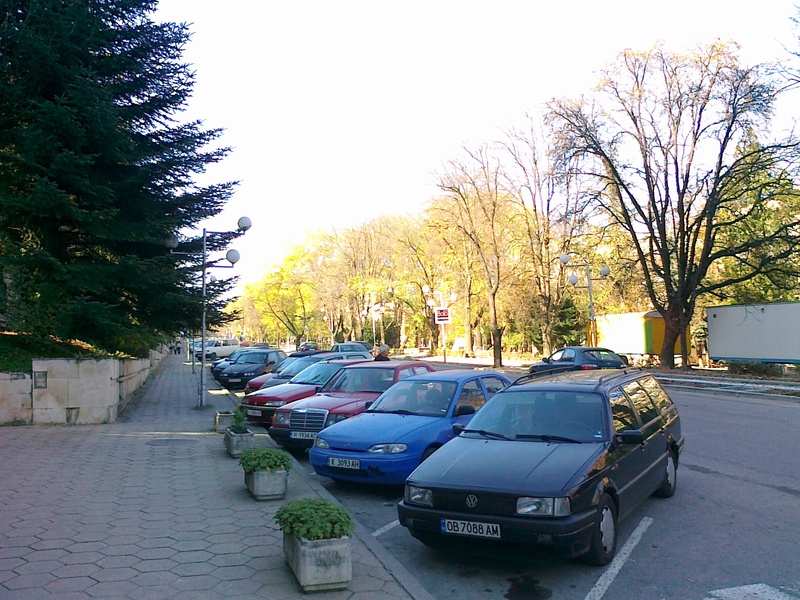 It was good for us to catch some hours of sleeping because we had to leave to Shumen. Right now we are hand in hand with the Bulgarian iron-friend hardly trying to keep our sleepy eyes opened. There isn’t the time for making pompous descriptions because the train arrives at 9 and I don’t have to waste that two precious sleeping hours. Bulgarian train be our guard! 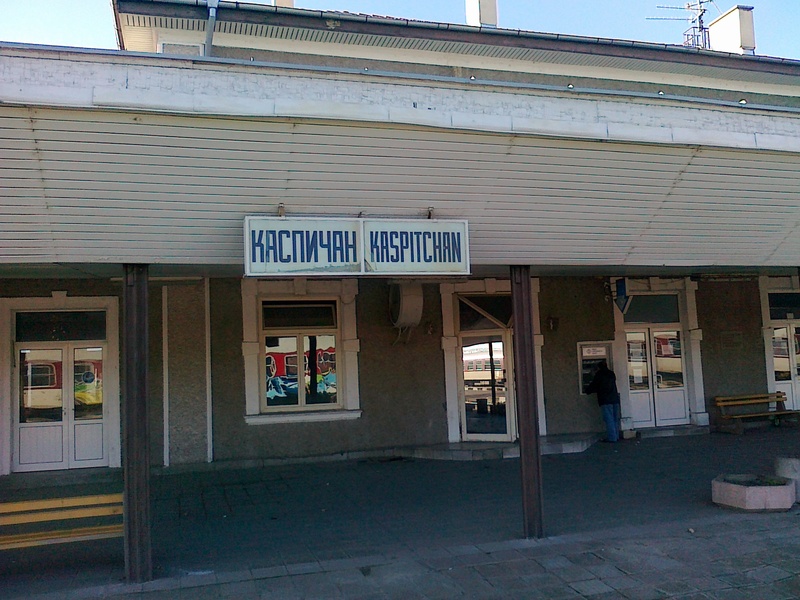 At 9 and a few minutes the train arrived to Kaspichan [Каспичан], a very little town from where we had a link-train to Shumen. From Rousse to Kaspichan we had two ways tickets bought for 13.70 leva for one. We stayed approximately 20 minutes in that town and then we get in the second train without ticket:D because the first stop was to Shumen. 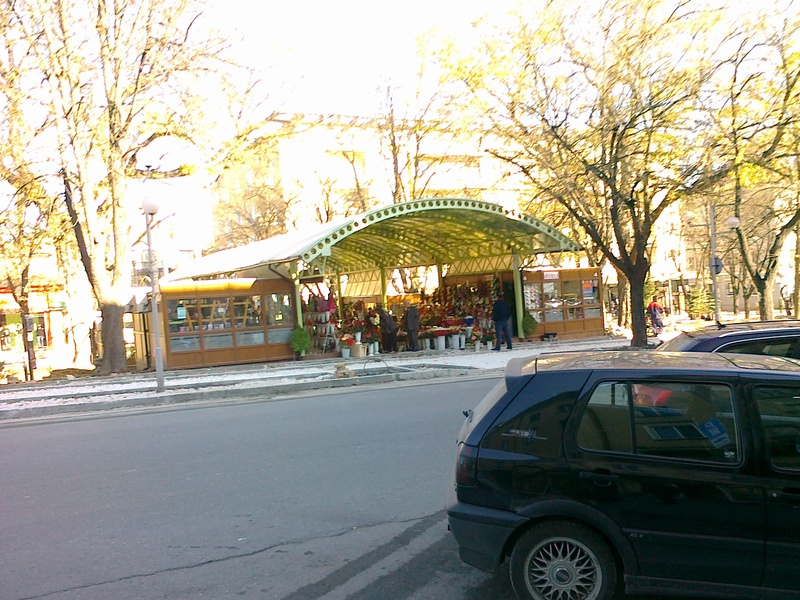 Although it was only 20 km we had to make a little business with the Bulgarian porter. To our surprise nothing stopped the porter to take even a 5 stotinki coin. 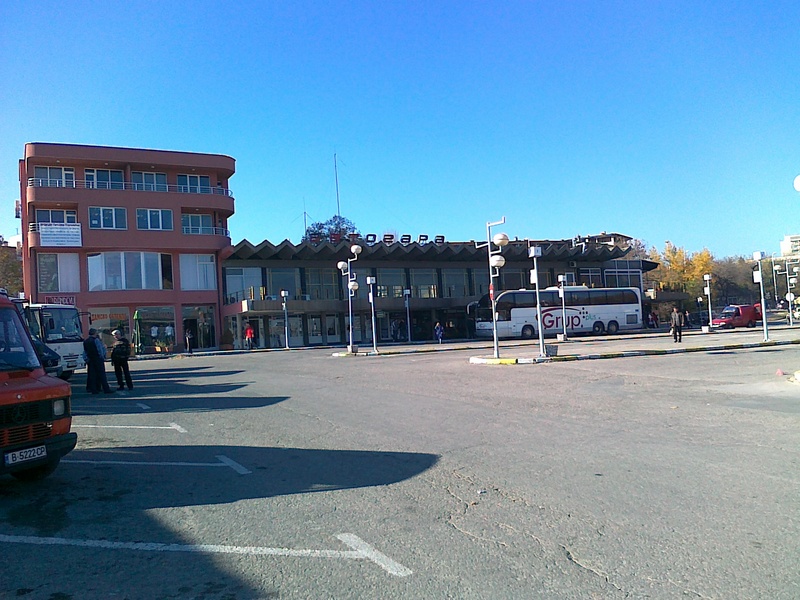 We arrived fast to Shumen. 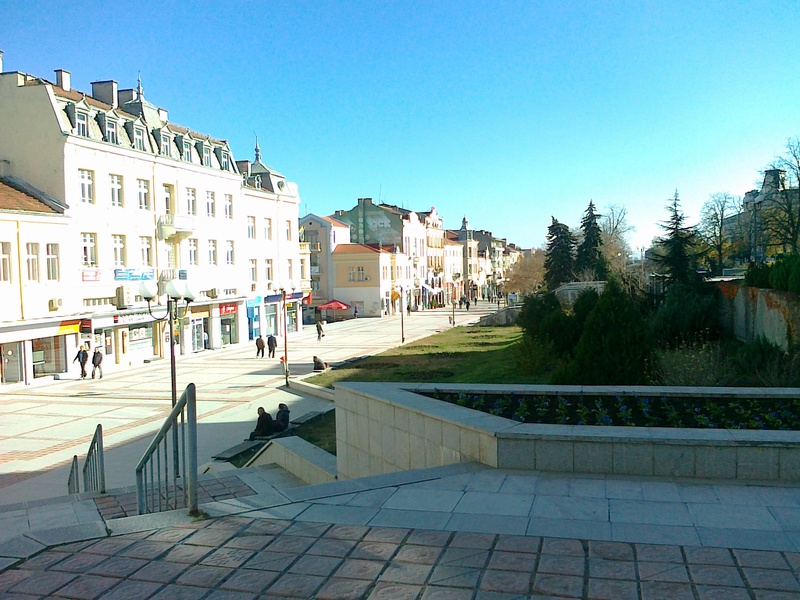 I can’t say that the town it’s special in any way, the most interesting places are up to Shumen, situated on the near hills. 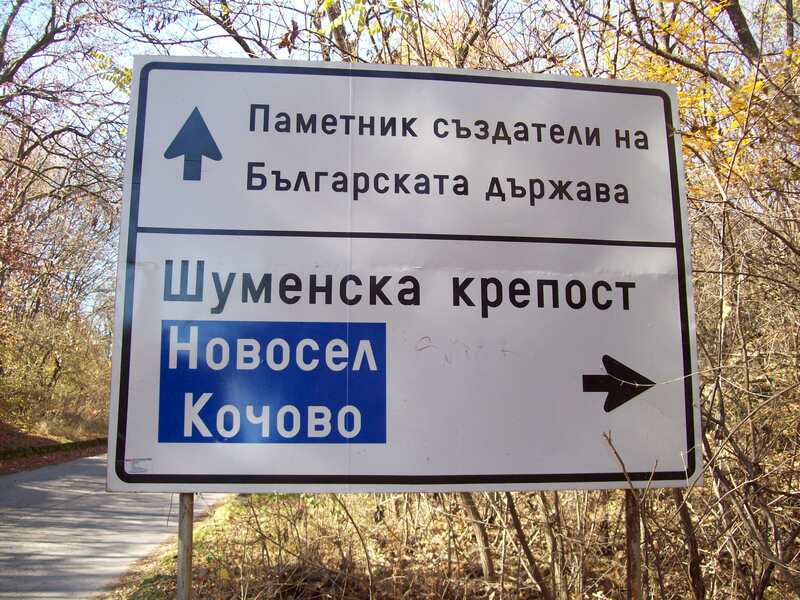 We went to the center trying in vain to find people able to speak English to explain us how to arrive at a tourist information center or at the fortress. 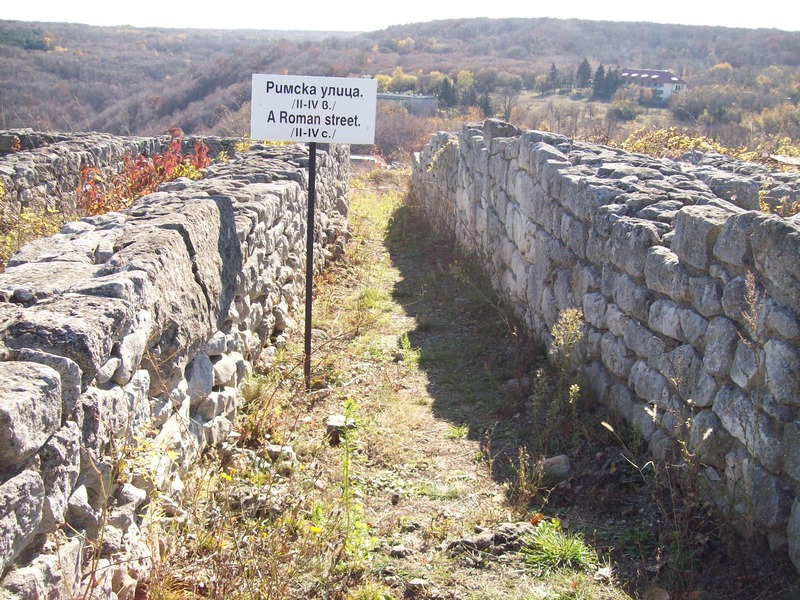 We didn’t find and we had to manage our selves without map, without anyone speaking English, we had to roam those streets trying to find the right way to the fortress. Finally we succeedJ. It followed an hour of walking to the hill that kept the centennial walls. 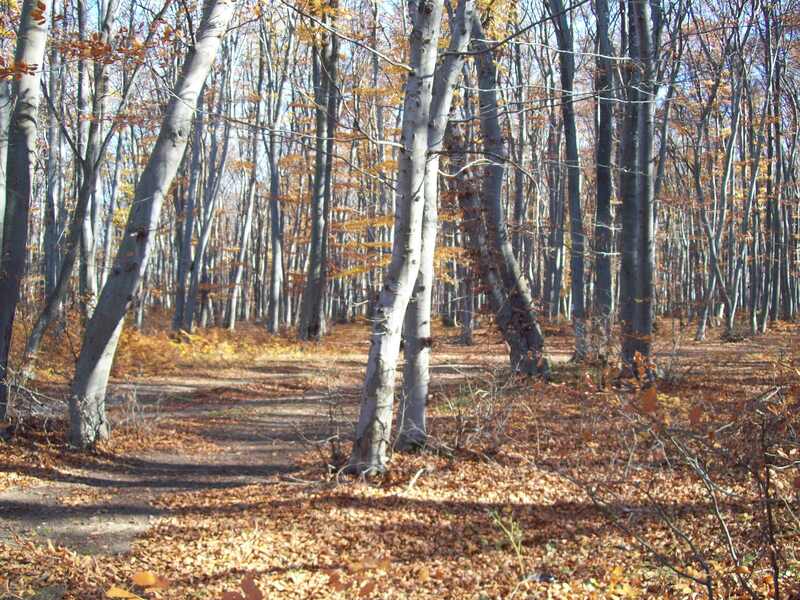 It was wonderful to feel the autumn from the forest’s heart, to rustle dried leafs under foots. 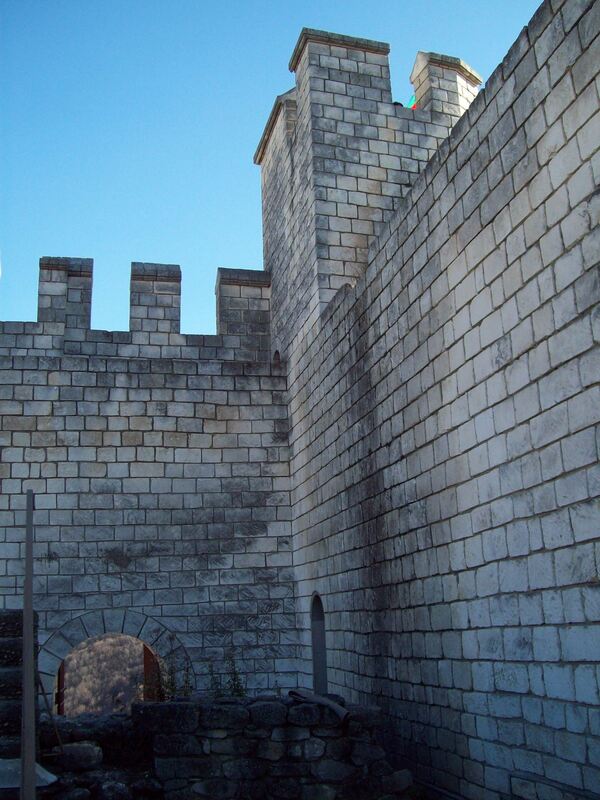 The road was quite exhausting, but seeing sometimes the fortress’ walls between the trees made us to have power and to want more and more to arrive there. 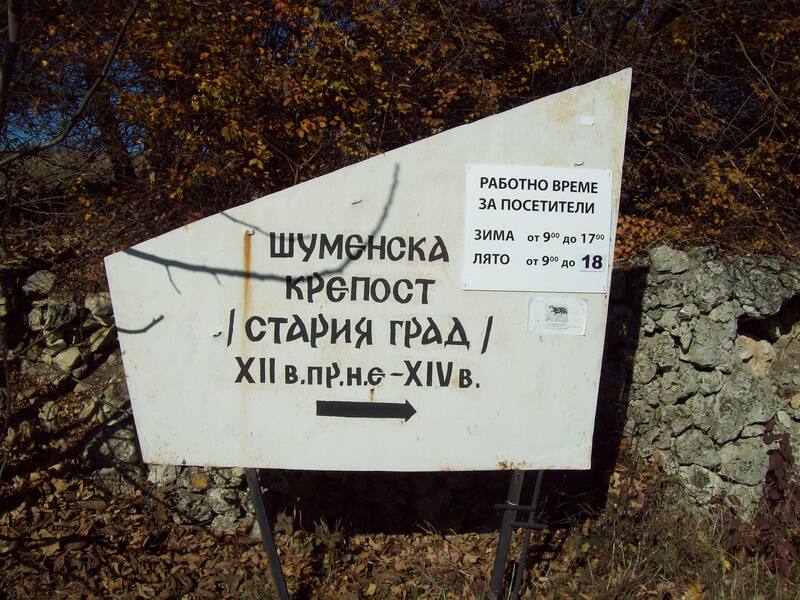 After visiting this objective, as we had time enough we lay in our powers and started to walk again to the monument built to celebrate 1300 years from the Bulgarian state foundation. We had another hour to spend measuring the forest throw our steps. 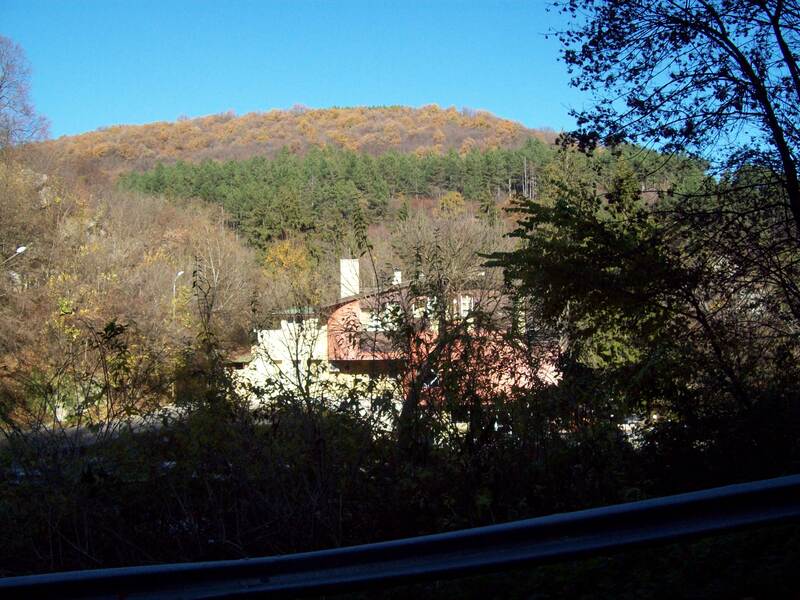 I resume all landscape like this: a picture with mountains and trees framed by drying leafs. The monument is huge, bigger then we imagined. 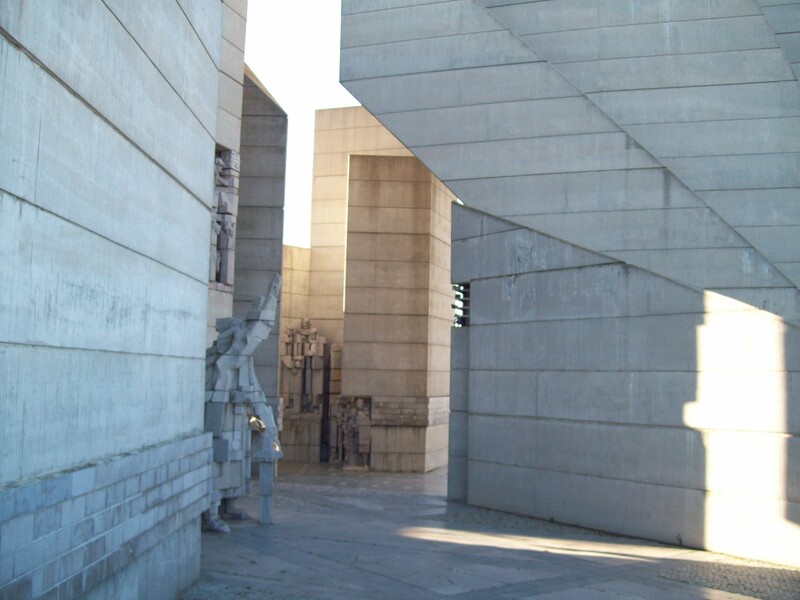 There is a museum, but the most interesting part it is outside: huge walls paved with big cubist statues. Even if it has the coldness of the communistic buildings, it is one of the most spectacular monuments I have ever seen. 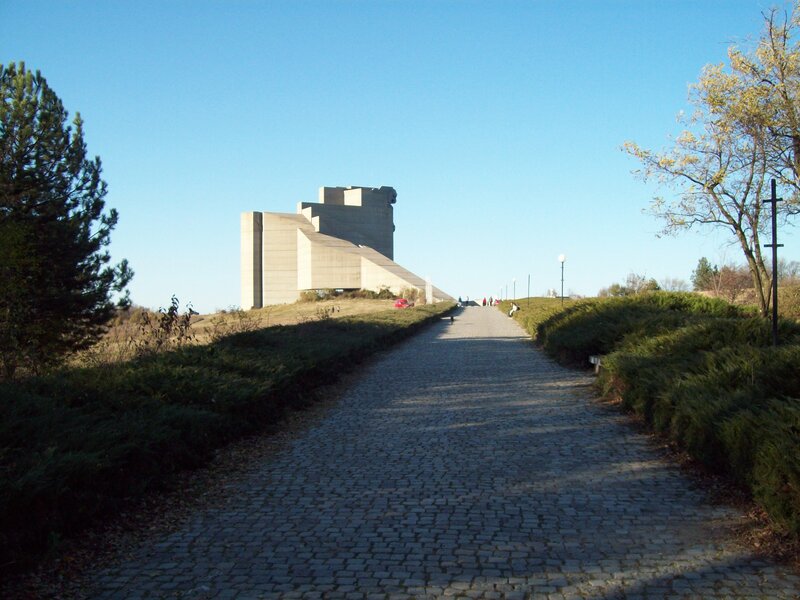 There are some steps that link the monument hill with Shumen’s center. We didn’t count them but we read after that there are 1300. We follow the steps [the damned steps that produced us a horrible muscle ache] and we arrived quickly down. We had enough time to arrive to the railway station, so without hurrying up we went there. 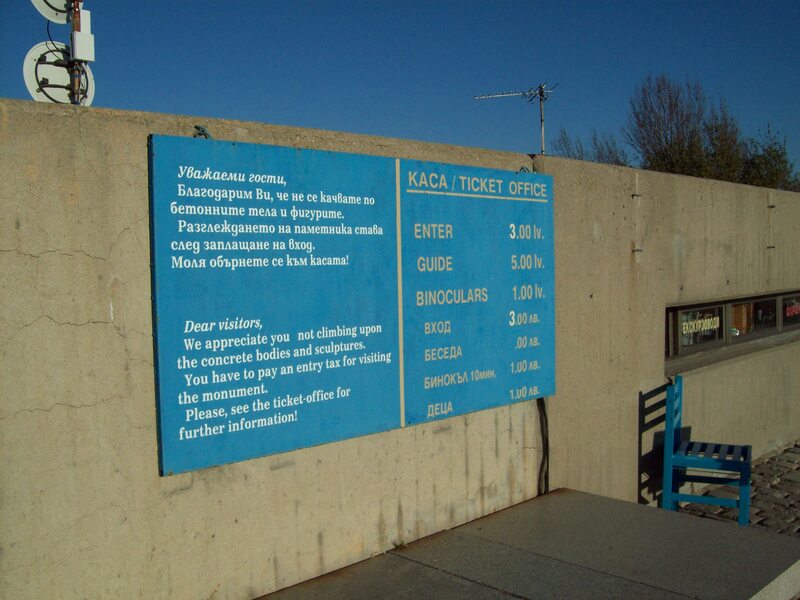 To our bad surprise the ticket from Shumen to Kaspichan was extremely expensive comparing the price with the only 20 km distance. 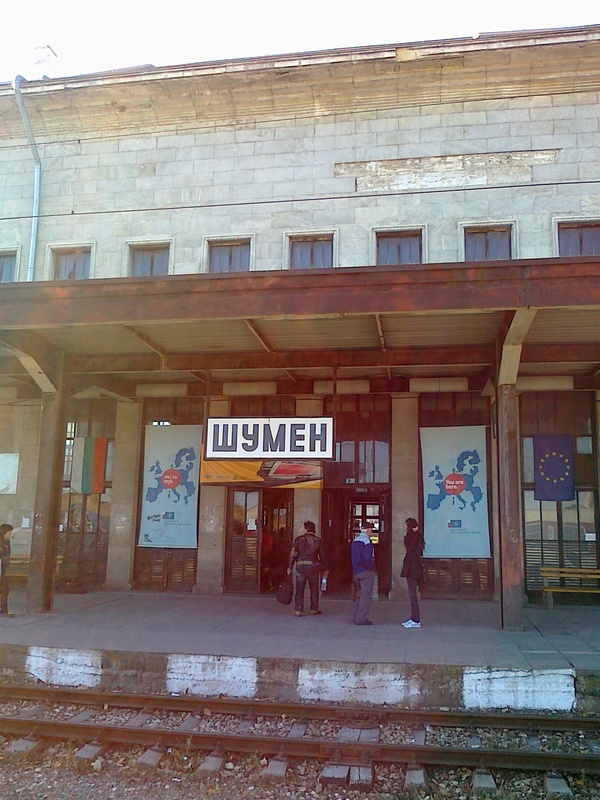 The train went directly to Rousse, so we could sleep well from 18.33, when the train left Shumen, till 21.50 when it arrived. 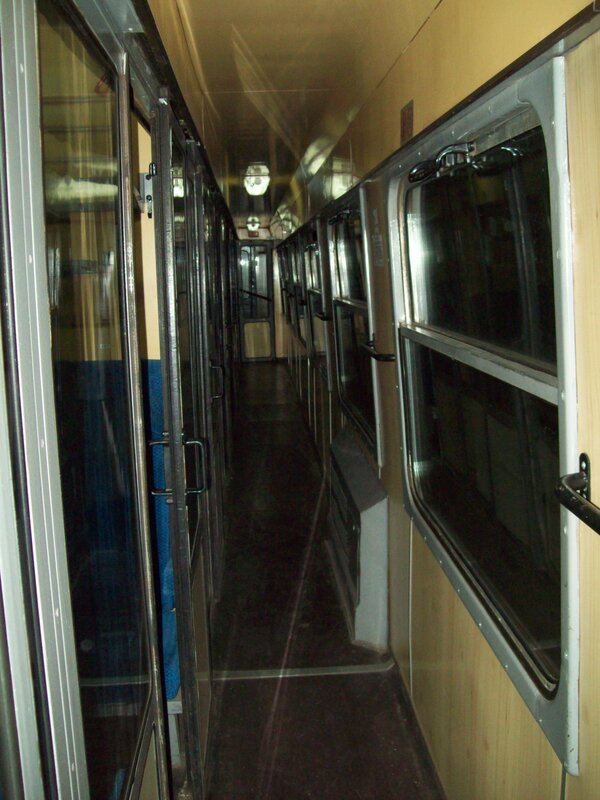 The train to Bucharest arrives in Rousse at 3 in the night, unfortunately for us we had to waste some hour there. The time passed slowly, we were too tirred, it was cold… The locomotive’s light seen in the farness made us to breathe relived because we knew that we have in our front three blessed hours of sleeping. We don’t have too many memories from the road. At six in the morning we were in Bucharest and half an hour later we were in bed absorbed by dreams. 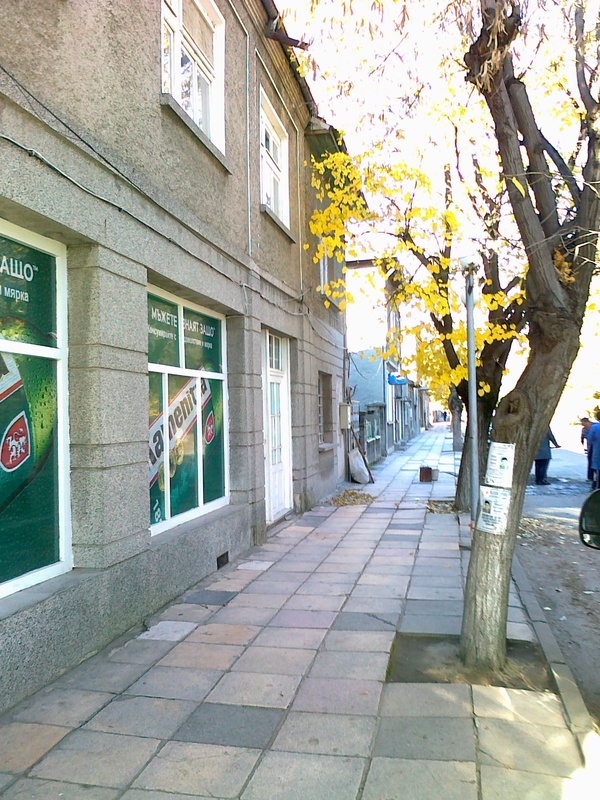 Shumensko (Шуменско) or Shumensko pivo (Шуменско пиво) is a Bulgarian beer company based in Shumen. The Sherif Halil Pasha Mosque, more commonly known as the Tombul (or Tumbul) Mosque (Томбул джамия), located in Shumen, is the largest mosque in Bulgaria and among the largest on the Balkans. 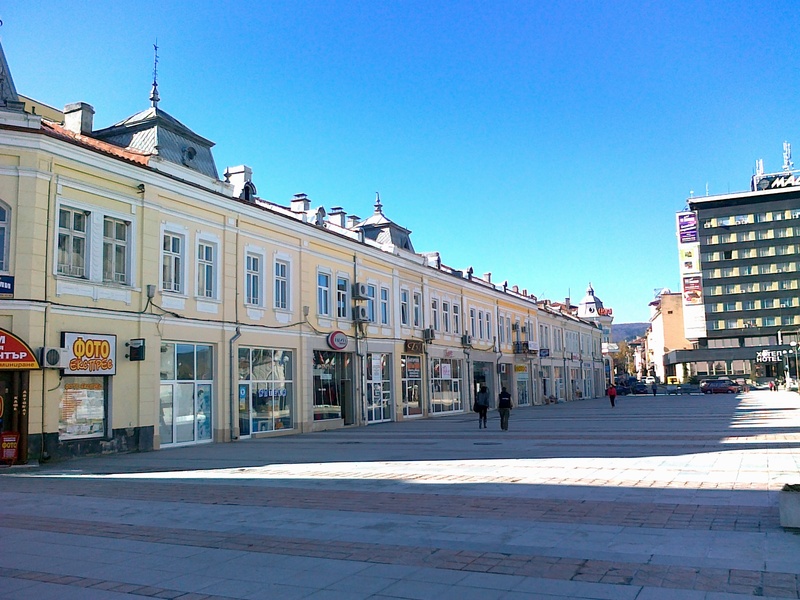 Built between 1740 and 1744, it was initially located in the northeastern Bulgarian (then Ottoman) town’s centre, but is now in Shumen’s southwest parts as the town centre shifted. 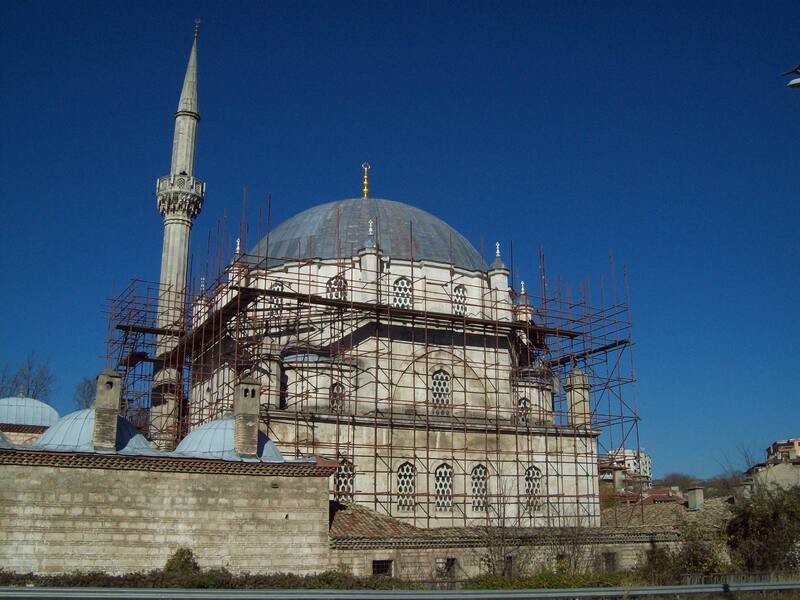 The mosque’s name comes from the shape of its dome. 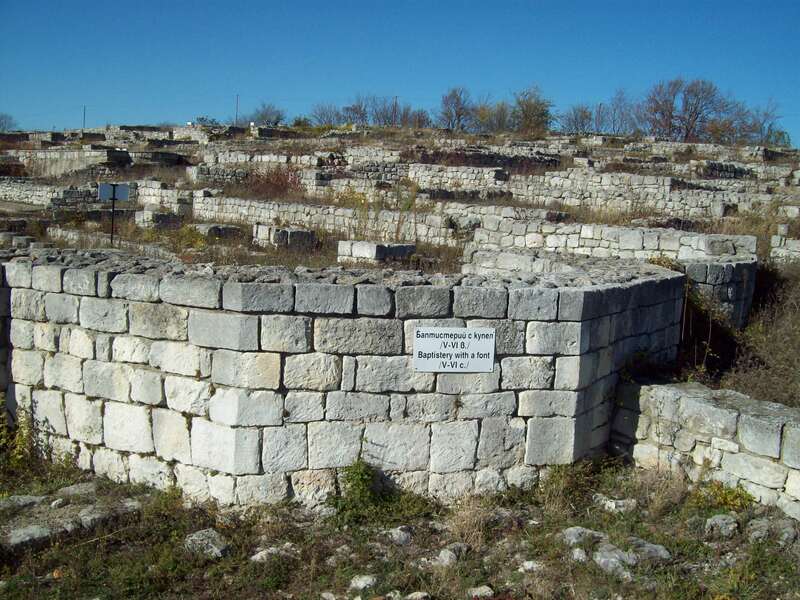 During 1444, bout the time of the crusade march of Vladislav III Yagelo, the fortress was destroyed and burned down. 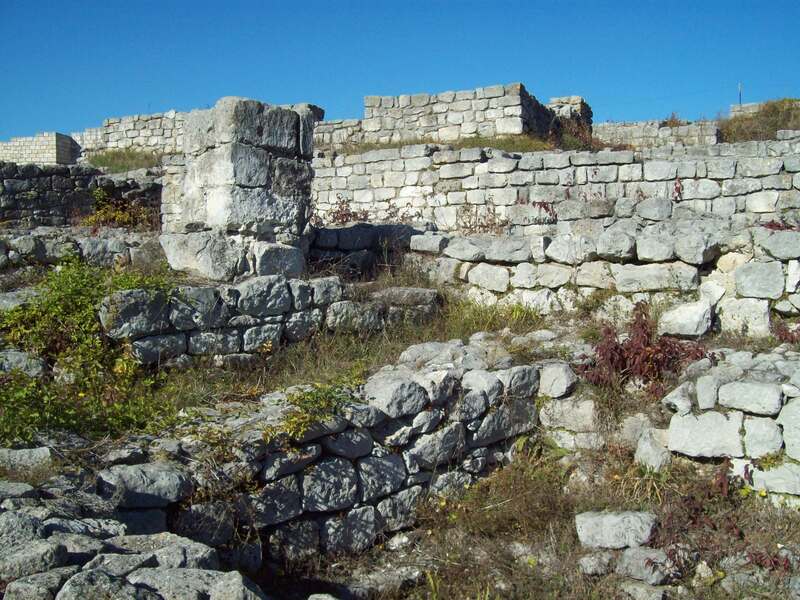 The Fortress is one of the most explored archaeological sites in the country. 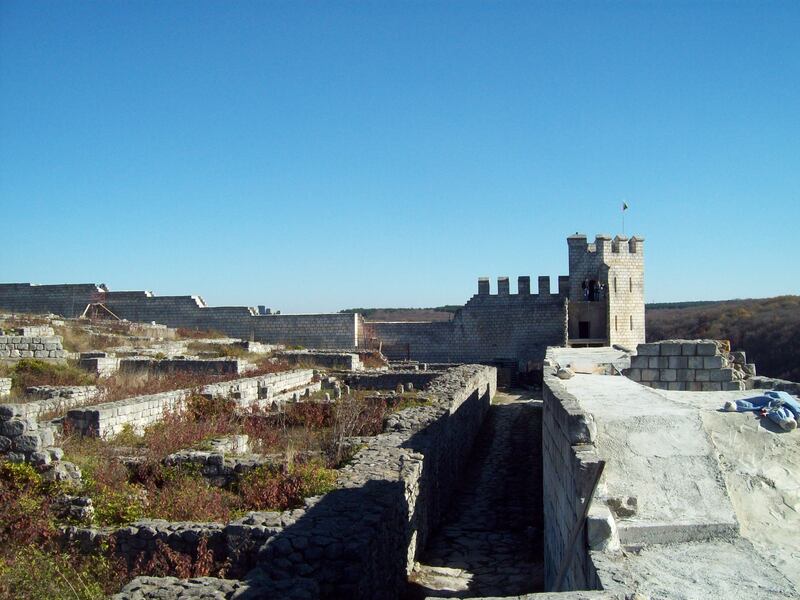 The fortress and the cultural architecture, homes and thousands of movable monuments bear record of the diverse functions during the different periods, predominantly during the time of the second Bulgarian kingdom (Vlaho-Bulgarian). The Monument to 1300 Years of Bulgaria (Bulgarian: Паметник 1300 години България), also known as the Founders of the Bulgarian State Monument (Паметник на създателите на Българската държава), is a large monument built on a plateau above the city of Shumen, Bulgaria. 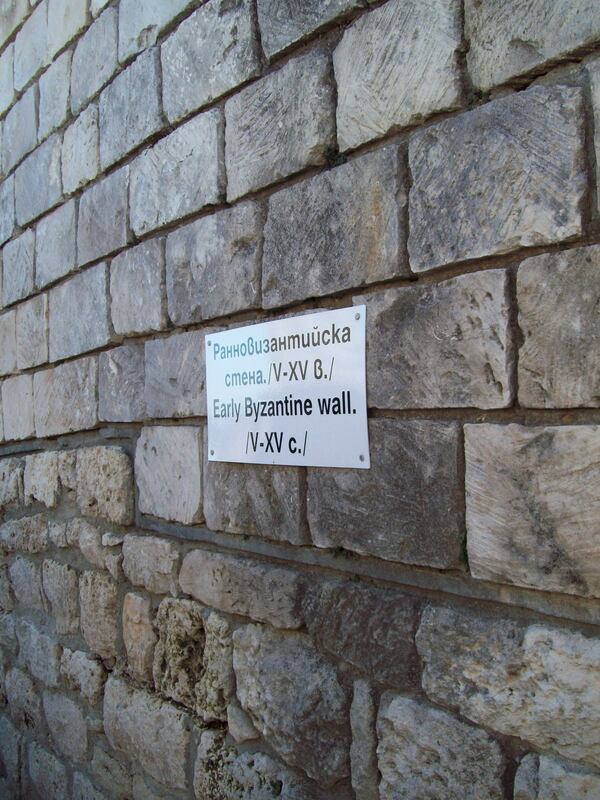 It was built in 1981 to commemorate the 1300th anniversary of the First Bulgarian Empire. 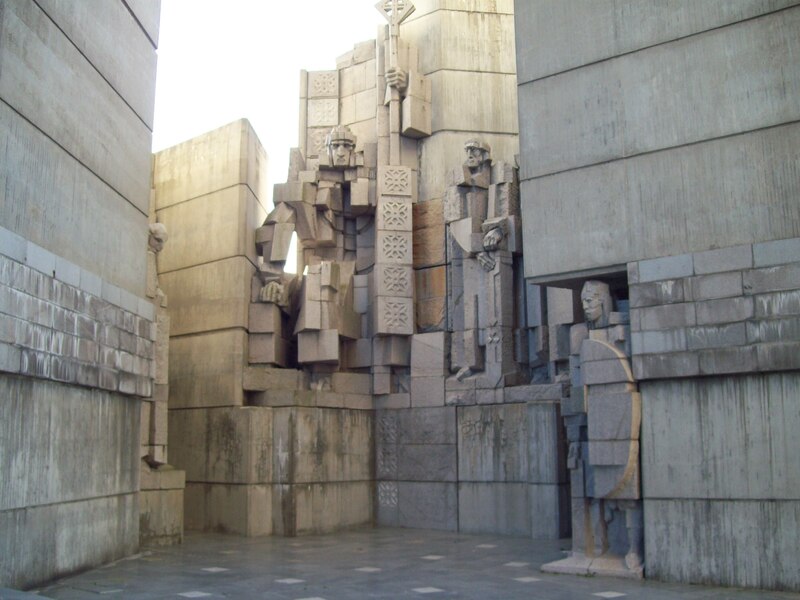 The monument is built in concrete in a Cubist style, and designed by Bulgarian sculptors Krum Damyanov and Ivan Slavov. 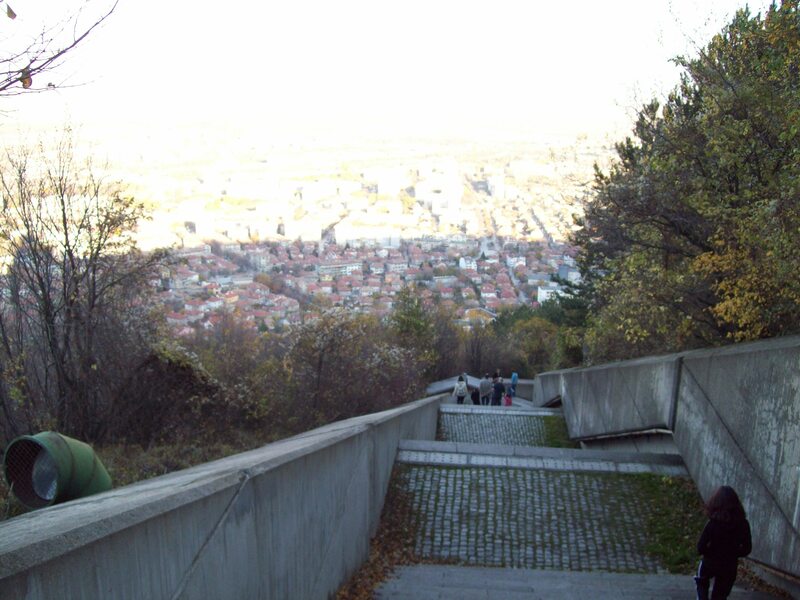 It is reached by a processional concrete stairway from Shumen, or by road. It stands at a height of 450 m above sea level and can be seen from 30 km away. The monument was unveiled on November, 28th, 1981. There is a wide staircase with 1300 steps, which begins near the town centre, and two asphalt roads that lead up to the monument. 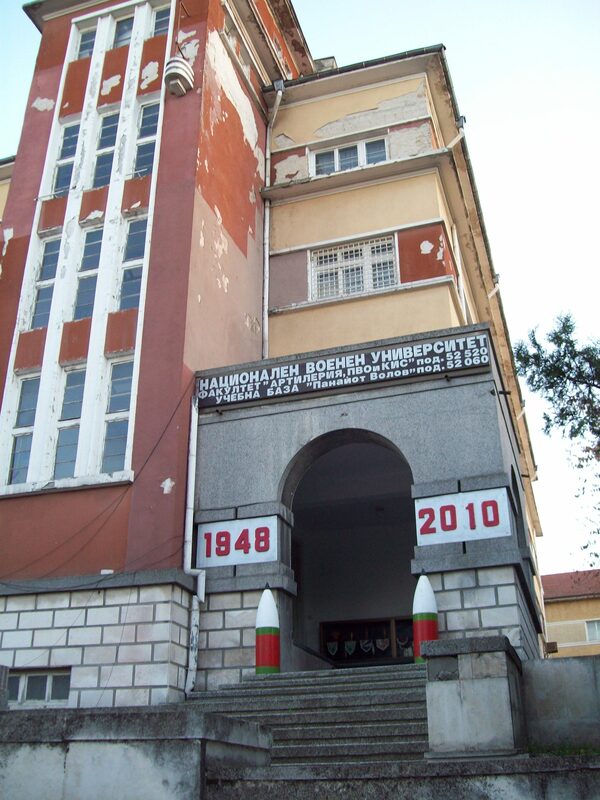 Also here is Faculty of Artillery, Air Defense and Communications from The National Military University „Vasil Levski” in Veliko Tarnovo. 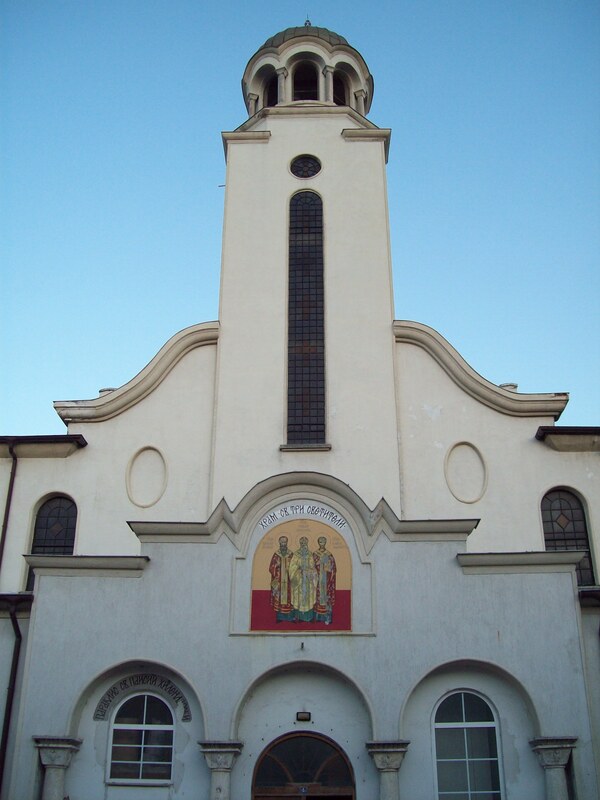 Church „Saint Tri Svetiteli” which was built during 1857 on the place of an old chapel with donations of the Shumen guild.